Here you have the unique opportunity to admire the city Hannover from the bird's-eye view. 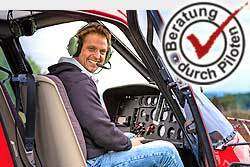 In your personal helicopter tour you will see the Maschsee, the zoo, downtown, mansions, gardens and more from the air. On a clear day you can see as far into the Harz.